02/14/2017 CellMosaic has received the registration certificate from USPTO for trademark "CELLMOSAIC" (registration no. 5,105,195, Int. Cl. : 1, 42). The trade mark was initial filed on March 18, 2009. The Notice of allowance was received on Sept. 8, 2015. The mark was registered on Dec. 20, 2016. 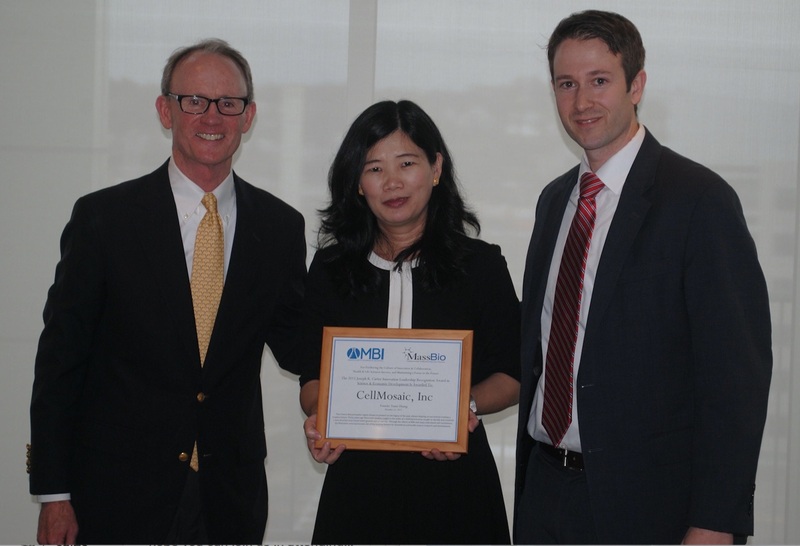 12/31/2015 Due to the ever-increasing demand of the business, CellMosaic was relocated from Worcester to one of the Cummings Properties' Woburn locations. CellMosaic's new facility includes office space as well as state-of-the-art chemical, bioconjugation, and bioanalysis lab. Woburn is less than fifteen miles away from Cambridge and Boston. 12/31/2013 CellMosaic was converted from a MA Limited Liability Company to a Delaware C corporation. 12/17/2013 CellMosaic signed a collaboration research agreement (CRADA) with the National Cancer Institute to co-develop two AqT™ based conjugate drugs. One is an antibody-drug conjugate for the treatment of hepatocellular carcinoma and another is a protein-drug conjugate targeting CA125 for the treatment of ovarian cancer. Under the agreement, NCI will provide its proprietary antibody and CellMosaic will design and synthesize an antibody-drug conjugate and protein-drug conjugate using its proprietary AqT™ linker and advanced conjugation processes. The CRADA grants CellMosaic an exclusive license option from NCI for any new products developed under this CRADA.